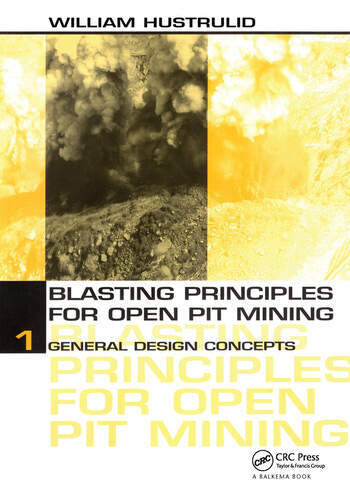 Divided into two volumes, this accessible work describes the principles involved in hard rock blasting as applied to open pit mines. A large number of examples illustrate the application of the principles. The first volume introduces basic engineering concepts and the building blocks that make up a blast design. The second volume goes into more depth to provide a better understanding of the fundamental concepts involved in rock blasting. Both volumes provide a basis for engineers to improve their blasting operations and their understanding of blasting papers that appear in technical literature. William Hustrulid studied Minerals Engineering at the University of Minnesota. After obtaining his Ph.D. degree in 1968, his career has included responsible roles in both mining academia and in the mining business itself. He has served as Professor of Mining Engineering at the University of Utah and at the Colorado School of Mines and as a Guest Professor at theTechnical University in LuleÃ¥, Sweden. In addition, he has held mining R&D positions for companies in the USA, Sweden, and the former Republic of Zaire. He is a Member of the U.S. National Academy of Engineering (NAE) and a Foreign Member of the Swedish Royal Academy of Engineering Sciences (IVA). He currently holds the rank of Professor Emeritus at the University of Utah and manages Hustrulid Mining Services in Spokane,Washington.